(a) If the engine switch is pressed with the shift lever in P or N and the brake pedal depressed, the power management control ECU determines that this is an engine start request. (b) The certification ECU (smart key ECU assembly) and other ECUs perform key verification via LIN communication. 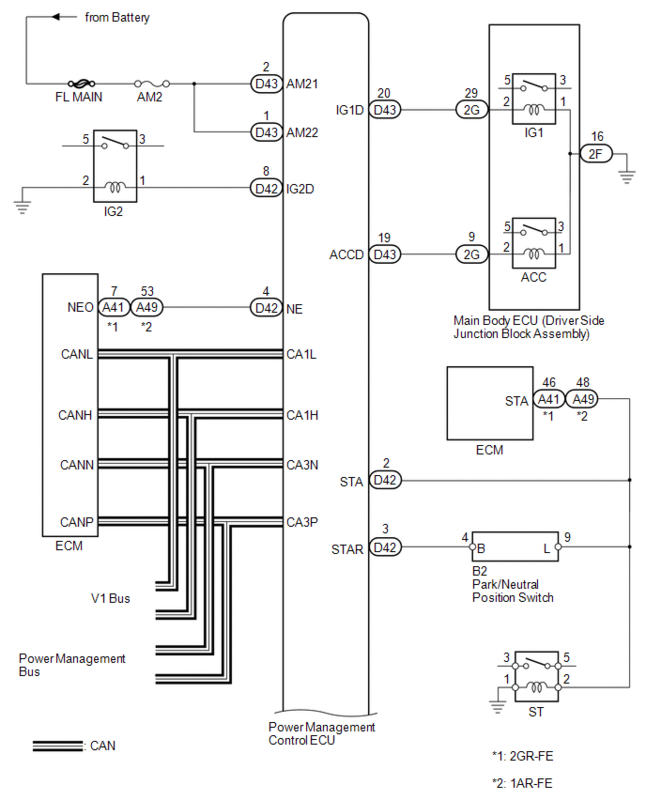 (c) The power management control ECU activates the ACC relay. (d) The power management control ECU activates the IG1 and IG2 relays. 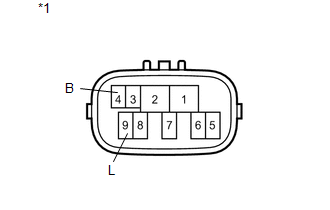 (e) The certification ECU (smart key ECU assembly) outputs a steering UNLOCK signal. The signal is sent to the power management control ECU via the steering lock ECU. (f) The power management control ECU activates the starter relay. 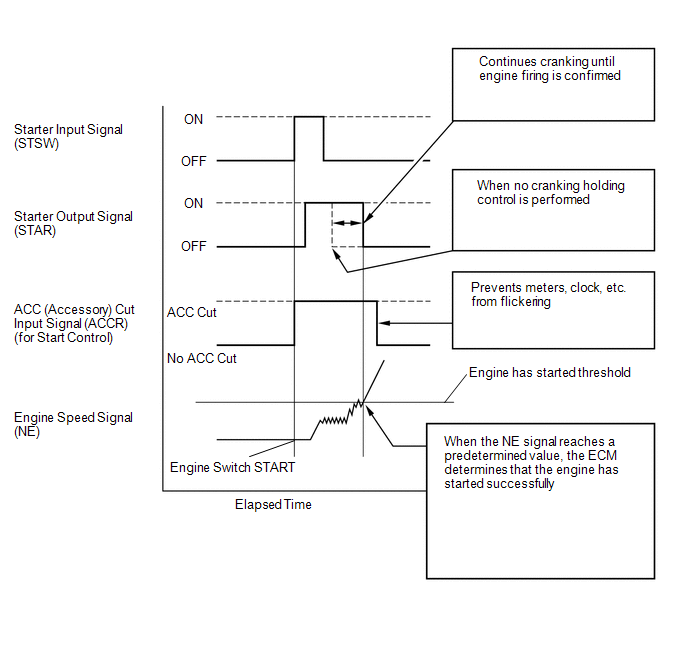 When the power management ECU operates the starter relay, it performs cranking holding control. (g) The power management control ECU deactivates the ACC relay until the power management control ECU detects an engine start. Whether the engine has started is judged based on the engine speed signals sent from the ECM. 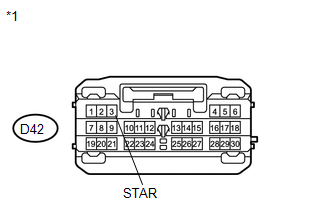 (a) If there is a malfunction in the stop light switch or STOP fuse, their signals may not be correctly transmitted to the power management control ECU. This may result in the engine not starting even if the engine switch is pressed while the brake pedal is depressed and the shift lever is in P.
(1) Turn the engine switch from off to on (ACC). (2) Press and hold the engine switch for 15 seconds. 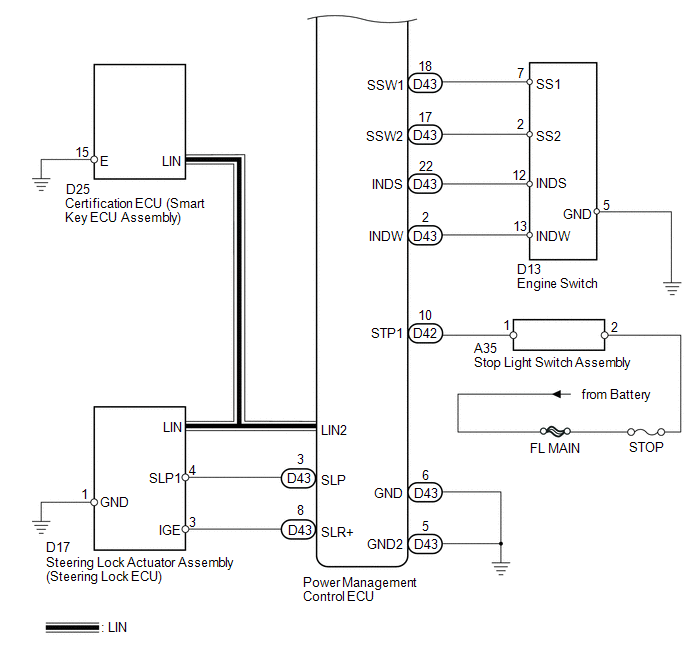 After the certification ECU (smart key ECU assembly), steering lock ECU, and/or ECM are/is replaced, perform the registration procedure for the engine immobiliser system (See page ). (a) Place the electrical key on the driver seat. (b) Move the shift lever to P.
(c) Depress the brake pedal. (d) Check that the engine switch indicator light is green. Then press the engine switch to check if the engine starts. (d) Enter the following menus: Body Electrical / each ECU / Trouble Code. OK (No malfunction) appears on the screen. (a) Check if the power source mode changes. (1) When the key is inside the vehicle and the shift lever is in P, check that the power source mode changes. (a) Check the engine cranking function. (1) When there is fuel in the fuel tank, the key is inside the vehicle, and the shift lever is in P, check that depressing the brake pedal and pressing the engine switch cranks the engine. Engine cranks (for 1AR- FE). (a) Disconnect the B2 connector. (a) Remove the ST relay from the engine room relay block. (b) The shift lever is in P or N.
(a) Enter the following menus: Body Electrical / Power Source Control / Data List. ON (brake pedal depressed) and OFF (brake pedal released) appear on the screen. (a) Enter the following menus: Body Electrical / Power Source Control / Date List. ON (steering is unlocked) and OFF (steering is unlocked) appear on the screen. (a) Turn the engine switch from off to on (ACC) and check that the steering lock moves to the unlocked position when the engine switch is on (ACC). Lock moves to unlocked position. OK appear on the screen. OK (S code certification result normal) appears on the screen. (a) Enter the following menu: Body Electrical / Power Source Control / Data List. (b) Read the Data List according to the value(s) in the table below. ON (ST relay on) and OFF (ST relay off) do not appear on the screen. 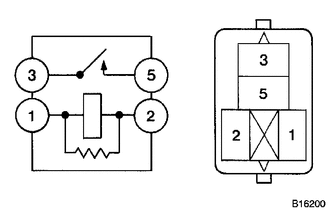 ON (ST relay on) and OFF (ST relay off) appear on the screen (for 2GR-FE). ON (ST relay on) and OFF (ST relay off) appear on the screen (for 1AR-FE). (c) Reconnect the D42 connector to the power management control ECU. 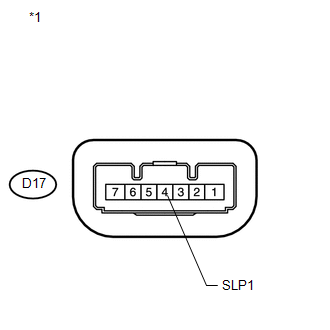 (a) Reconnect the D17 connector to the steering lock actuator assembly (steering lock ECU). (a) Replace with a new or normally functioning part. Repair or replace any damaged wire harness or connector. Check that the engine switch indicator is illuminated in green and push the engine switch. ON (ST relay on) and OFF (ST relay off) appear on the screen.